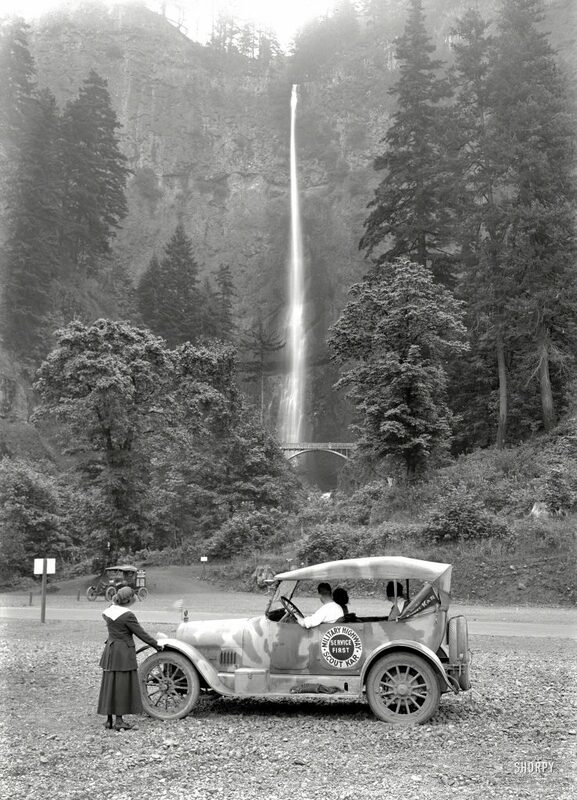 At 620 feet (189 m), Multnomah Falls is the tallest waterfall in Oregon. The dramatic two-tiered falls are fed by underground springs from Larch Mountain, and the flow over the falls varies, usually at its highest during winter and spring. There are many scenic hiking routes nearby, and Multnomah Falls is one of the best places in the Columbia River Gorge National Scenic Area to study geology exposed by floods (five flows of Yakima basalt are visible in the falls’ cliff face). Easily accessed from Interstate 84, Multnomah Falls also has a visitor center and restaurant.